Nap Time is the Best Time | Separated by a common language. Oh I LURVE sleeping pups. Just lurve. I just melted into a big pile of mooshy-ness. 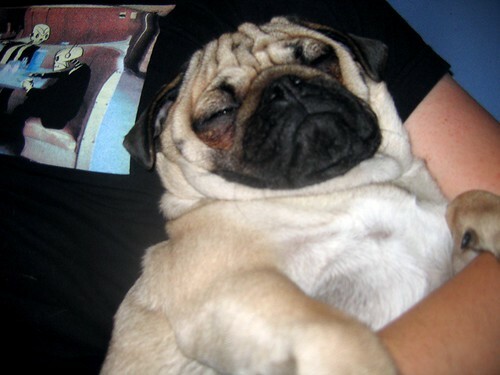 Pugs are the most beautiful creatures *sigh* I just want to kiss him on his wittle puggy wips! Ok, I’ll stop now…LOL..